The all new Cruze has been released not that long ago with a much better overall design than before. It is more efficient, faster, better to drive, it looks a lot better and it is bigger as well. However, those who love the car do not really have much choice in terms of engines. It seems that GM might to something about that. Not that long ago rumors about a 2018 Chevrolet Cruze SS surfaced and it would make a lot of sense for them to release such a car. 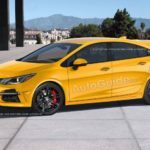 It would be aimed directly at the Subaru WRX, the Focus ST and the likes and it would give GM a hot-hatch or sedan. Why this could be nothing more than just a rumor? At roughly $25,000 to $30,000 GM has the Chevrolet Camaro with the turbocharged petrol engine. 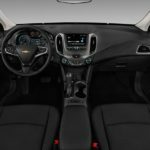 The reason a hot Cruze might not be released would be their fear of taking the customers from the Camaro. 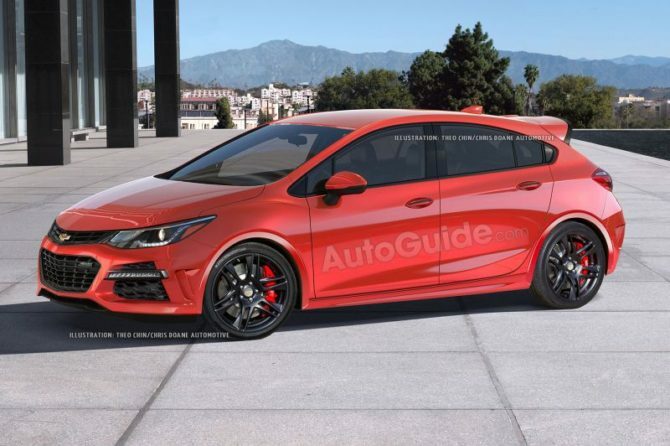 While the two are very different cars, some people would likely get the four door hatchback or sedan with the same amount of power as the Camaro. 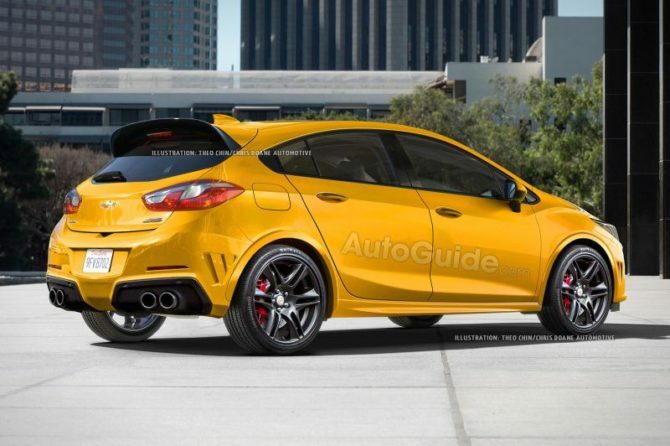 However, a good example for this exact scenario is Ford with their Focus ST/RS and Mustang EcoBoost. They managed to get highly competitive cars without competing with each other. 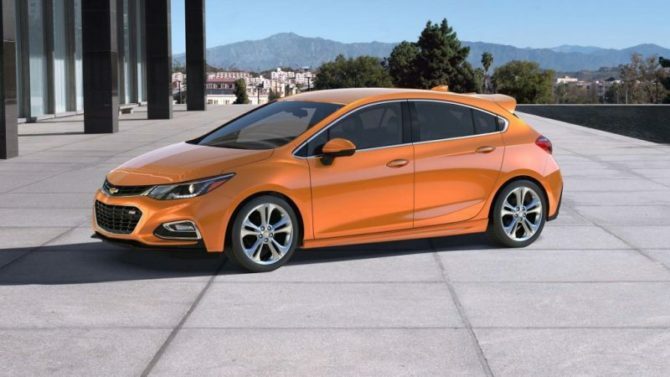 Chevrolet might follow Ford’s strategy and offer a Cruze SS with a slightly tuned down engine. 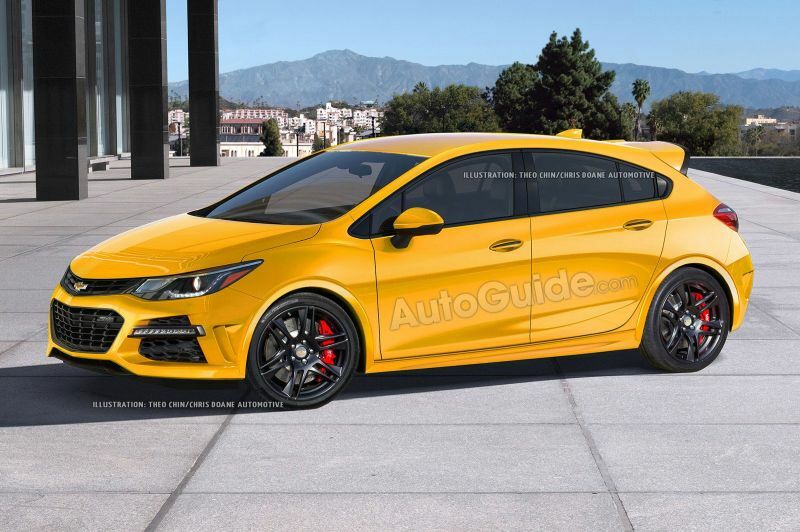 Even though so far the 2018 Chevrolet Cruze SS is nothing but a rumor, if it will hit the market then it is quite easy to assume how it will look. For starters, the SS badge means a sportier model. The Cruze already looks quite aggressive but it will be taken a step further. 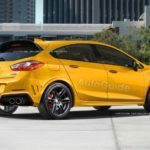 Expect a lower suspension system, a larger front air intake, likely a spoiler at the back, larger wheels and even flared wheel arches. Even though it is a bit of a stretch, the best example would be the last generation Astra OPC which is basically what the Cruze SS would be. Here things are going to be kept at a slightly lower level. 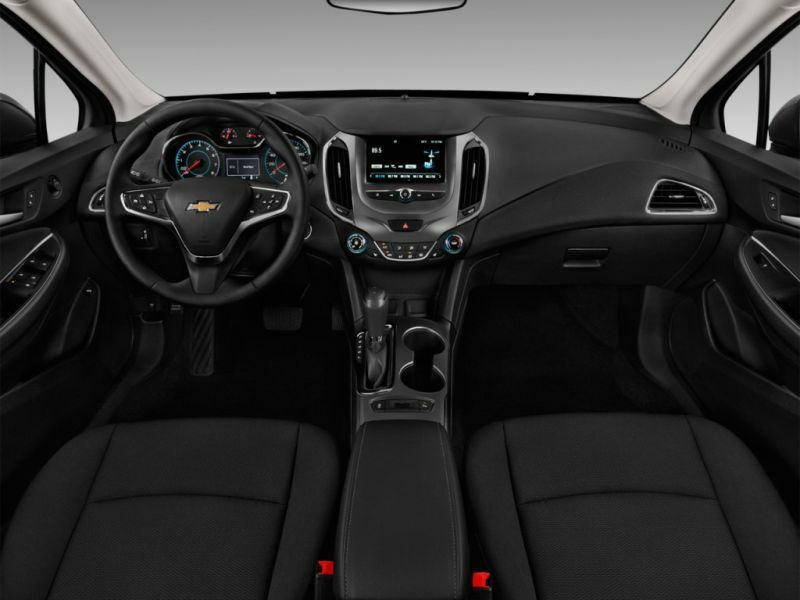 For starters, the car is expected to feature the usual Cruze dashboard but with a twist. It will likely get a different instrument cluster and new inserts across the board. Also, the seats will more than likely be upgraded to some that will offer much better side bolsters. With them, the SS will receive unique branding, likely a new steering wheel as well as new materials such as perforated leather. 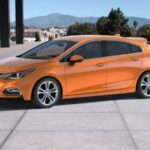 So far there has not been a Cruze SS to take a look at it and see what the 2018 Chevrolet Cruze SS could get. However, the last generation Astra OPC featured a 2 liter turbocharged inline 4 with 276 horsepower and 295 lb-ft of torque. The engine in the current Camaro is a revised model which actually makes 275 horsepower and 295 lb-ft of torque. 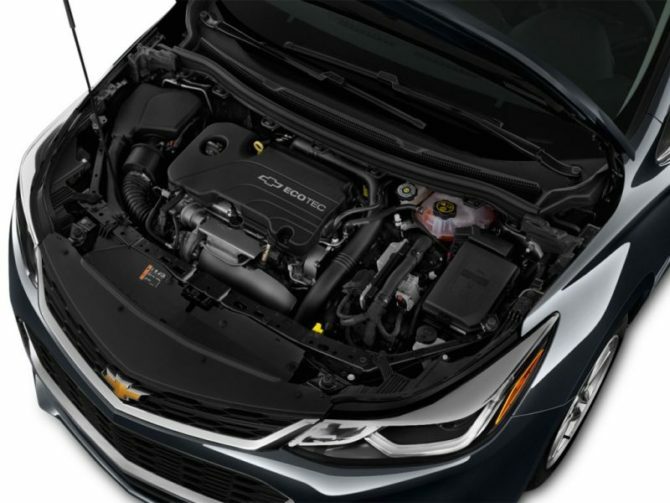 It would make a lot of sense for the SS Cruze to feature this exact same powertrain. While it would get in the Camaro territory, the car would be a completely different beast. For starters, it would be front wheel drive with a limited slip differential. This means a higher 0 to 60 MPH time than the Camaro but a similar top speed. The car would also have a completely different behavior on the road due to its transmission. At this point a manual seems to be the best for it. 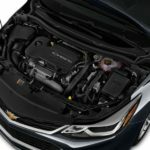 However, considering where the market is going, GM might also install an automatic which would provide better performance while taking some of the fun away. All wheel drive is highly unlikely, especially considering its price point. GM! 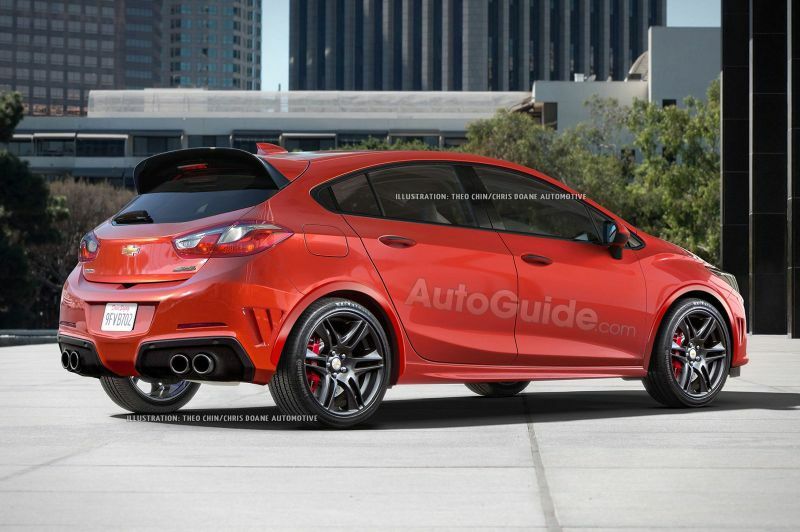 Please make a Cruze SS happen , or ill be forced to buy a Hyundai Veloster N Series. It would be sick. I’ve owned 2 SS HHRs with the 2.0L Turbo, both with manual transmission and they were the best HP for your buck even before I put the GM performance kit in them and got them up to 290HP. I so regret getting rid of them. As well as my Sonic Hatchback RS with the 1.4L Turbo, manual. So ridiculously fun to drive. 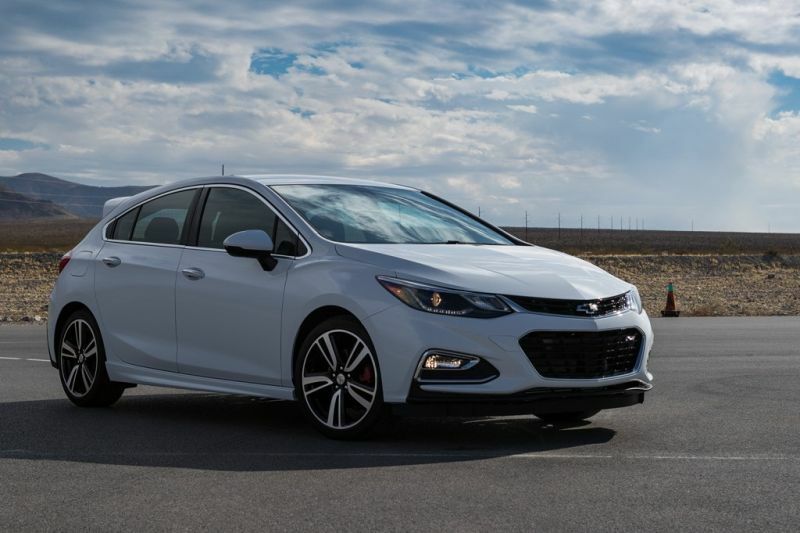 Just picked up a 2017 Cruze Hatchback RS 1.4L manual and so far so good, although I could just imagine this thing with the similar 2.0L Turbo as the SS HHR, Solstice and Sky. I would trade up in a second.